We hope this section helps answer a few of the questions you may have. If you would like more information, please call Cardosa Village at 916-391-2292. We look forward to hearing from you! 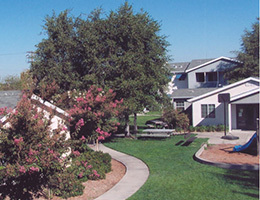 Q: What type of housing is Cardosa Village? Is it low income housing? 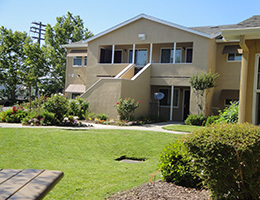 A: Cardosa Village is a subsidized housing community for persons with psychiatric disabilities and their families. The term “subsidized housing” means that the rent is based on income. A resident of the community pays approximately 30% of their income as rent. A: Monthly rental of the apartment, as well as heat, water and an electric allowance. An electric allowance is a certain amount taken off of the resident’s rent payment meant to help the resident pay the electric bill. The allowance amount is based on average usage for the apartment and may change annually. Residents will also receive an electric bill, but the allowance is intended to help pay for it. Residents may still be eligible for energy assistance from the state. A: Cardosa Village has 21 apartments. A: Cardosa Village has one bedroom apartments which are 540 sq. ft., two bedroom apartments which are 800 sq.ft., and three bedroom apartments which are 1,018 sq. ft.
A: Yes, currently Cardosa Village has a waiting list. Please call for the approximate waiting time. A: Cardosa Village welcomes you to bring your pets along with you. Fish and birds are welcomed without a deposit. We also welcome small dogs and cats with a pet deposit. There is a limit of one animal (cat or dog) per apartment and there are certain size and breed restrictions. A: The pet deposit will not exceed $300. We can make payment arrangements for this deposit. A: There is additional storage available, however, each style of apartment offers a large amount of storage space. A: No, second floor apartments are only accessible by stairs. 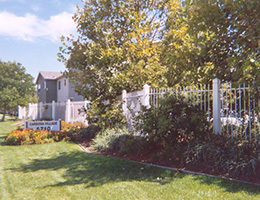 A: Yes, Cardosa Village offers its residents the use of parking spaces inside our gated community. A: Residents receive an apartment key, a key to a locked mailbox for their apartment, and an access key to the main entry. Our main entrances are intercom controlled and automatically open with the key. A: Cardosa Village prints a monthly calendar showing the dates and times of various activities. Monthly activities include wellness groups, pot-luck meals, Java Jam, arts & crafts, and knitting/sewing for our Project H.A.N.D.S. program. 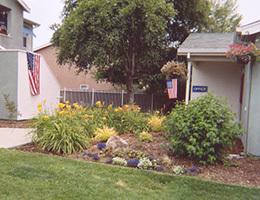 Outside excursions to cultural events, the state fair, Apple Hill and other activities. A: There is one laundry center at Cardosa Village. Each contains four coin-operated washers and four coin-operated dryers with folding and hanging areas. It is located right off the community room by the play area. A: Yes, a city bus that will take you to the light rail-line, located only two blocks away from our community. The light rail-line will take you into the city of Sacramento and other points of interest.